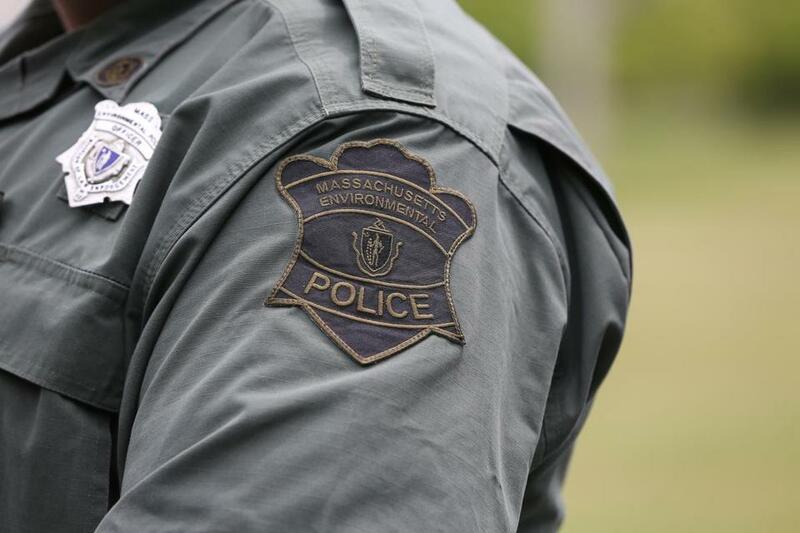 Governor Charlie Baker, who has repeatedly said corrupt State Police troopers should lose their state-funded pensions, took a different tack this week regarding the Environmental Police colonel who was recently fired for misconduct. Baker suggested Tuesday that other state officials should make the call on the pension benefits for Colonel James McGinn, a former State Police sergeant who also served as Baker’s personal campaign driver. The governor said the federal payroll fraud charges facing troopers are more serious than the allegations levied in an internal investigation against McGinn, who was found to have fixed a pair of tickets and used state funds to spy on other officers. “Colonel McGinn exercised some really bad decision-making and was fired, and I believe that was the appropriate decision,” Baker told reporters Tuesday, according to a recording released by his office. But the problem is the state ethics commission does not have the power to take away pensions. The state retirement board can strip someone’s pension only if they are convicted of a crime related to their employment, and even those cases aren’t a legal slam-dunk. The allegations against McGinn do not appear to be the subject of any criminal review. Peter Lorenz, a spokesman for the executive environmental office, would only say that officials there had referred the case to the ethics commission. Because the alleged misconduct happened in multiple parts of the state and involves an agency with statewide functions, it’s unclear who has jurisdiction. Officials at district attorney’s offices in Suffolk, Middlesex, and Worcester counties said they were not reviewing the matter. The attorney general’s office declined to comment. Local attorney Peter Elikann said it’s not clear whether the allegations against McGinn will rise to the criminal level. He said it’s possible McGinn broke state laws prohibiting people from recording others without their consent and that he misused public funds when he bought the surveillance cameras and hired a private investigator. As for whether McGinn could face criminal penalties for violating a state law enacted to prevent police from fixing tickets, local legal experts said charges under that statute would be unusual, if not unprecedented. Timothy M. Burke, McGinn’s Needham-based attorney, called the notion that McGinn could lose his pension ludicrous. “There’s no basis in fact or in law that would justify any issue with Colonel McGinn’s pension,” Burke said. McGinn retired from the State Police in 2005 and halted payments on his approximately $60,000-a-year pension from that job in 2014 when he took over as head of Environmental Police. His time with the Environmental Police will not change his State Police pension benefits or allow him to collect a second one, officials at the state retirement board said. McGinn had not requested to resume pension payments as of Tuesday afternoon, officials said. Burke said McGinn “adamantly denies” involvement in the alleged ticket-fixing and said his surveillance efforts were done with approval and to ensure employees showed up for work on time.